August 2016: When city officials of Berkeley, California, passed a new sick leave ordinance, the law stood on fairly shaky ground. The upcoming elections meant that voters of Berkeley could pass one, both, or none of the paid sick leave initiatives on the ballot. If either of the initiatives passed, then the new ordinance would become nullified. However, when voters went to the polls on November 8th, 2016, both initiatives failed to pass. That meant that the new ordinance remains in place and starts on October 1, 2017. Businesses have months to review and revise employee handbooks, notify employees, and set up the correct reporting systems to be compliant with the new ordinance. The purpose of this article is to take a deep look at the requirements of the new law and assist business owners and human resource managers with employment law compliance. Berkeley’s Sick Leave Ordinance mirrors some of California State Paid Sick Leave Law, but does have a few key differences. Berkeley law applies to all businesses who hold a Berkeley city business license. Berkeley’s Sick Leave Ordinance is officially called “the Minimum Wage Ordinance” and amends Chapter 13.99 of the Minimum wage laws and adds Chapter 13.100, paid sick leave. The Berkeley ordinance covers businesses licenses within the city and all employees who work at least 2 hours or more in a calendar week. Like the state law, Berkeley employees accrue sick leave at 1 hour of sick pay for every 30 hours worked. State law allows employers to cap leave at 24 or 48 hours, the Berkeley sick leave ordinance allows capping at 48 hours each year. Small businesses with fewer than 25 employees can cap sick leave to 48 hours a year. It also allows employees to roll all accrued and unused sick leave from year to year. Currently, the California Minimum Wage is set at $10.50 for large employers, those with 25 or more employees. Small employers must pay $10.00 an hour minimum wage. Berkeley, however, has followed Los Angeles, Pasadena, Emeryville, and other cities across the State in enacting a higher minimum wage schedule than state law provides. The new minimum wage is set with increases over the next 3 years and is set to follow the Consumer Price Index (CPI) for Urban wage earners and clerical workers for the San Francisco-Oakland-San Jose CA metropolitan statistical area. The CPI is published by the Department of Labor and measures the prior year’s increases in the cost of living. When the bill was passed, Berkeley already had a $12.53 minimum wage on the books. The new schedule increases minimum wage each year in October until 2019, when the minimum wage is set at $15.00 an hour. On Oct 1, 2020, the minimum wage will be set by the CPI. In addition to the minimum wage increases, all services charges at food-service businesses, hotels, or other hospitality establishments must be paid directly to the employees providing the services. Employers who provide medical benefits can credit up to $1.50 an hour toward the health care coverage and still meet the minimum wage requirements. All employees who are employed by a Berkeley business and who work at least 2 hours per calendar week or more are covered under the new ordinance. Berkeley’s law provides an exception for all union employees if the collective bargaining agreement waives the rights to minimum wage and sick leave in clear and unambiguous terms. The minimum wage requirements are exempted for employees in Youth Training programs who are up to 25 years old and are in a temporary job placement program. Although Berkeley’s ordinance doesn’t specifically mention additional exemptions, other exemptions that fall outside the defined terms for employer and employee would include babysitters and other domestic help employees hired by an individual or families, and not considered a business licensed with the city. Independent contractors would also not be considered employees. Additionally, other government agency employees would not qualify under the new ordinance as other government agencies would not be registered as a business in Berkeley and would not hold a business license. employed by companies outside of Berkeley, but who occasionally work inside Berkeley city limits. Employees will become eligible to start earning and accruing paid sick leave on October 1, 2017. After October 1, 2017, new employees can start to accrue sick leave on their first day of employment. However, employees can be restricted from using accrued sick leave until after 90 days after employment commences. It is important for Berkeley businesses to review current employee handbooks and to ensure that the policies for 2017 are in compliance with the new sick leave law. Sick leave accrues in full 1-hour increments at the rate of 1 hour for every 30 hours worked. Employees can earn and use up to 48 hours of sick leave a year. Sick leave can be used by employees who are mentally or physically unable to perform their duties due to a physical or mental illness, injury, or health condition. Employees can also use paid sick leave to obtain a diagnosis, get treatment for a medical condition, or for other medical reason s such as pregnancy or medical exams. Employees can also aid certain family members to care or help them when sick or ill. Unlike California sick leave law, the Berkeley sick leave ordinance does not allow for leave to be used for domestic violence, stalking or sexual assault. Employees who need to use sick leave for safety reasons must rely on the state law. Employees are allowed to take sick leave to care for, help, or aid specific family members. Those relationships include a child, parent, legal guardian or ward, sibling, grandparent, grandchild, spouse, or domestic partner. A child includes any child that the employee is standing in loco parentis relationship for. Berkeley recognizes all biological, adopted, step-relationships, and foster care relationships. It does not recognize in-law relationships. Additionally, if the employee isn’t married and doesn’t have a domestic partner, then the employee can designate one person for use of sick leave. Employees must designate this person within 10 days of hire and must have 10 days a year to change the designation. Employers are NOT required to pay out accrued, but unused sick leave when an employee leaves a company. This applies to both voluntary and involuntary termination. Unused sick leave must be rolled to the following year. However, an annual usage cap of 48 hours a year is still in effect. So even if employees roll over sick leave, they can still be maxed out at 48 hours of used sick leave a year. Employers can use either a calendar year or a fiscal year for sick leave accrual and rolling over sick leave. Berkeley doesn’t address the practice of front-loading sick leave by many companies. However, employers are allowed to loan sick leave to employees prior to accrual. In order for PTO or sick leave plans to meet the new requirements, employers would need to front loan 48 hours of sick leave at the beginning of the year. Employees must give advanced notice if the need for sick leave is foreseeable. If it is not foreseeable, then the employee must notify the employer as soon as they are aware of the need. Additionally, and unlike state law, the Berkeley law allows for employers to request reasonable documentation that the sick leave was used for the intended purposes. Employers may request documentation but cannot require any documentation that would cost the employee more than $15 to obtain. 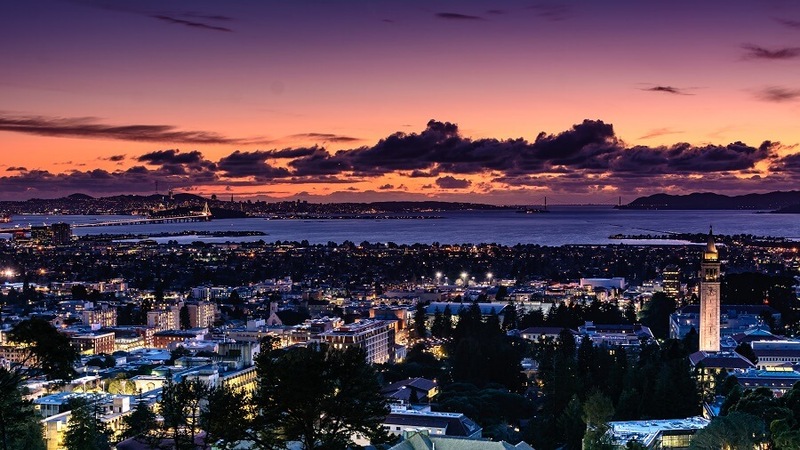 Like state law, Berkeley’s law allows for Paid Time Off (PTO) to qualify as required sick leave if the employee can take PTO in accordance with Berkeley sick leave requirements. In other words, the employer can’t place additional restrictions on the PTO or the PTO won’t count as meeting sick leave requirements. Employers are required to notify and post sick leave ordinance rules in the workplace. Businesses may face a find of $500 for failing to post and notify employees of the new law. Employers are also required to notify employees on each pay period of the number of accrued sick leave hours and of the used sick leave hours for the year. Companies who fail to maintain adequate records will be presumed to have violated the law if an employee alleges a violation. It is imperative that employers maintain records that include employee’s hours worked, sick leave accrued, wages paid, and paid sick leave. Records must be maintained for at least 2 years. Also similar to the California law, the Berkeley sick leave ordinance provides protection to employees who are seeking redress for an employer’s failure to comply with the law. It also prohibits retaliation on employees who use their sick leave for any of the approved reasons. Employers may not use any negative factor to retaliate against an employee, including in employee reviews, evaluations, promotions, disciplinary action, or termination to any employee who uses sick leave or attempts to use sick leave. Businesses can be fined up to $1,000 for retaliation against an employee. Each violation can incur a fine of $500 for businesses who are found to be in violation of the ordinance. That includes failure to post the notices for employees, failing to notify employees of an investigation, failure to post a notice of violation to the public, failure to maintain adequate payroll records, or failure to allow the city to access the records. In addition, employers can be required to pay restitution to employees can be subject to additional fines and remedies may face civil action, and may lose certifications or business licenses with the city. Employees are allowed to pursue a civil action for remedies and the city can levy fines for back wages, attorney fees, and other fees. Additionally, employers can be fined a fee of $50 for each violation per employee, per day. Businesses who have employees in Berkeley, Oakland, Emeryville and a growing list of other cities may have to comply with multiple conflicting City ordinances defining both minimum wage and Sick leave accrual and usage laws. Plus, these businesses have to also comply with Federal Overtime Laws, the Family Leave Medical Act and any other national or local laws that are enacted. SwipeClock provides a comprehensive array of workforce management and time tracking tools that can help businesses to more easily stay in compliance with local and national laws. Written by Annemaria Duran. Last updated March 16, 2017.